​We all choose to celebrate a birthday in different ways. Sometimes it is a large and grand affair, and others a low key family event or outing. It may be a kids’ party, a party for adults or one for a mixture of generations. At BethRock Limo we have a variety of vehicles to fit the bill. 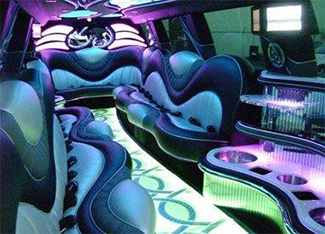 From town cars or sedans, to decorated party buses. Whatever your needs BethRock Limo has it on hand. 1. It is your day. We have experienced and arranged a wide range of events for a variety of people, and are able to assist in whatever celebration or events you have organized. National Zoo, Six Flags America. Be with Me Playseum, Imagination Stage. Whatever you choose, we are on hand to arrange the logistics. 2. Highly professional drivers. Our chauffeurs are friendly and polite and have been trained to work hard at making our clients’ day a special one. We will plan an itinerary that fits your requirements, and your driver will be on hand before or on time to set you on your way. 3. Various vehicle options. We have a vast variety of vehicles at your disposal. From limousines, party buses or sedans, the choice is all yours. Each vehicle is meticulously cleaned and made ready before each outing. Our fleet of vehicles are fitted with flat screen television, DVD/CD player, and a bar area with stem glassware is provided for adult birthday parties. 4. Great experiences and events are memorable. Research shows that it is the events and occasions that made people the happiest that are retained to memory the longest. Special events and experiences such as parties, holidays, outings and a great restaurant experience proved to be more memorable than physical things. Make your birthday event more memorable by traveling by top of the line limousines or a party bus. To make your birthday party or event so much more memorable, just follow these quick and easy steps. 1. Fill out the online form above. 2. Click on the "Give me my FREE Quote" button. 3. Otherwise phone us at 301-825-8833 to arrange your Rockville or Bethesda birthday limousine. P.S. To make all your future birthday events special, or as a present to a special friend or member of family, our limos make great birthday presents!